12 Time-Saving Tools For Freelancers-Boost Your Productivity! 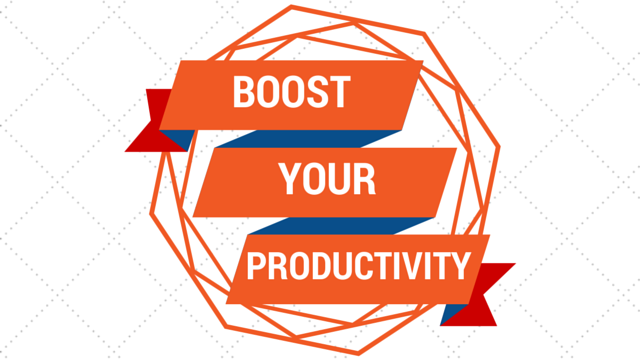 Home » Resources » 12 Time-Saving Tools For Freelancers To Boost Productivity! Are you working from home, in a small office or on the road a lot? No time and no space? Would you like to get more done or just share some more time with your friends and family? No matter what industry you’re in, it’s tough to keep up with the big dogs when you’re not using the most efficient techniques and tools available. Outsourcing specific tasks and using modern tools to get more work done is what big companies are doing. But can an individual or small business use the same or similiar productivity tools effectively? Here is a list of time-saving tools that anyone can use to boost their productivity no matter what industry or niche they’re in! 12 Time-Saving Tools For Freelancers – Boost Your Productivity! The secure and trusted way to store and access your passwords on multiple devices. Don’t waste your precious time looking for passwords or recovering them! Example: If you spend approx. 3 min per day looking for and entering usernames & passwords for different websites, it will summarize to nearly 20 hours in a year! Two and half days of work just looking for usernames & passwords – trying to log in! That is if you never forget or loose a password. Otherwise it’ll be even more. If you use a tool like LastPass, you can use your time for other things. The best thing it’s LastPass is free! Although you can upgrade to LastPass Premium to access to your vault on all mobile devices. 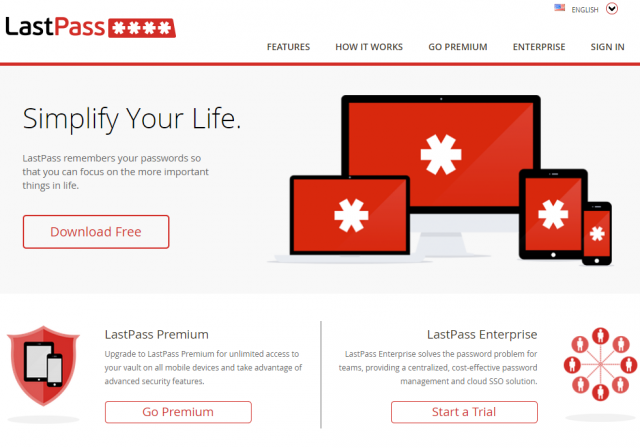 LastPass Premium sells for $12 per year. 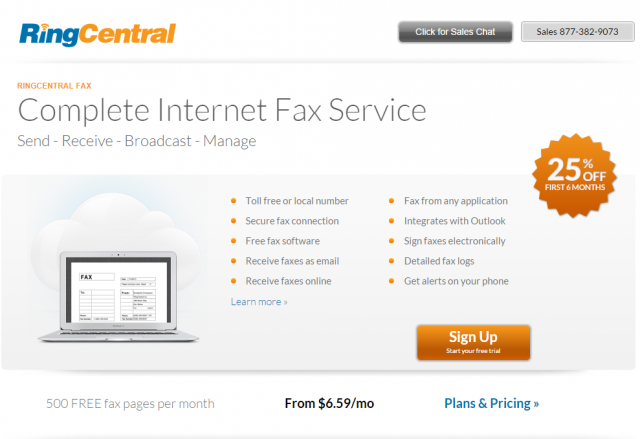 RingCentral – Try FREE 30-day trial! A subscription includes a local or toll-free phone number, free fax software, and many other features. With RingCentral Fax you can receive faxes in your email inbox and fax any document from within any Microsoft Windows® application. 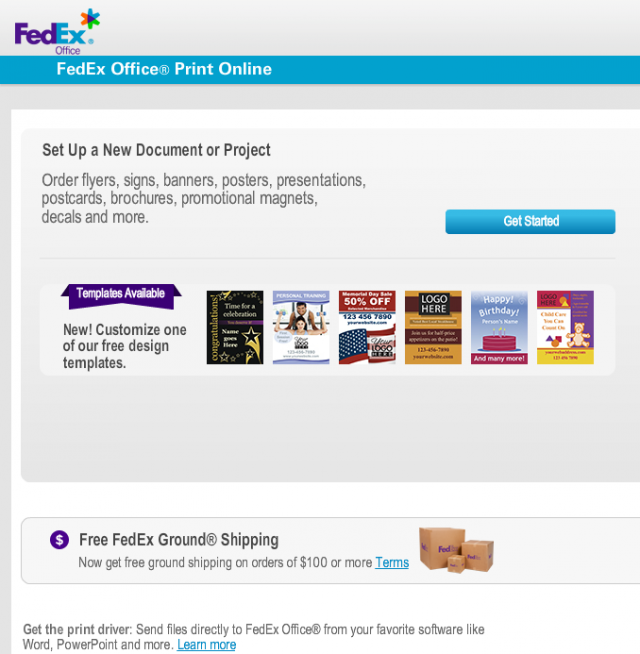 Fedex office – Print and ship any documents anytime, anywhere! Over 1,900 Fedex offices in the U.S. and Canada. They’ll also hold packages for you to pick up. 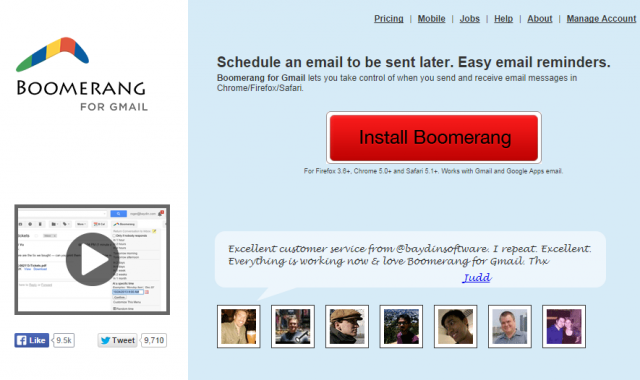 Boomerang – free plan available! Assistant.to (Formerly trybetty.com) – free! 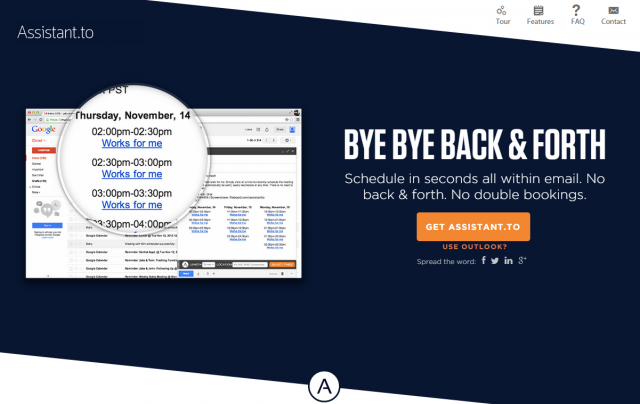 Schedule meetings & appointments across different time zones in seconds all within email. No back and forth. No double bookings. 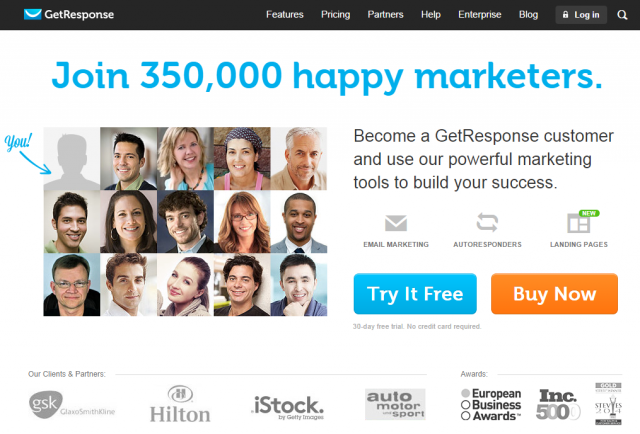 GetResponse – Try free 30-day trial! Automated emails after x amount of days. 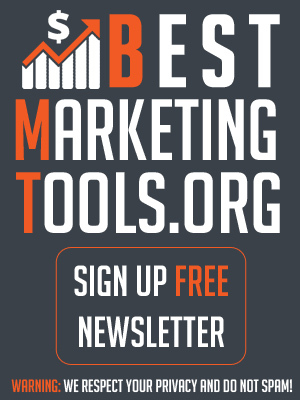 Email Marketing made easy. Who has opened your email? When? Who clicked on which link? Opt-in forms and so much more. 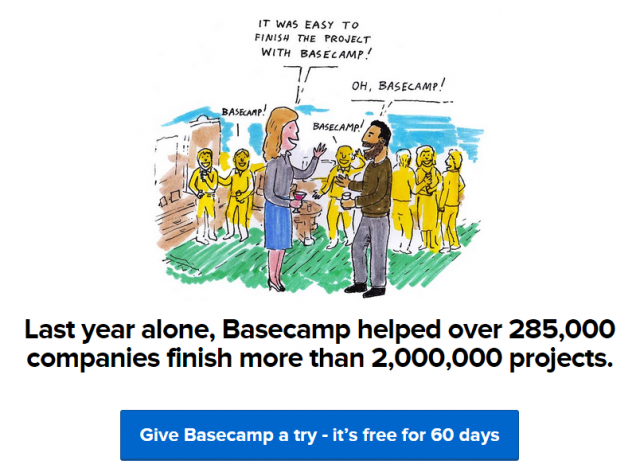 Basecamp – 60 days free trial! Basecamp makes it easy for people in different roles with different responsibilities to communicate and work together. It’s a place to share files, have discussions, collaborate on documents, assign tasks, and check due dates. Basecamp stores everything securely and can be accessed at anytime from anywhere. After the free trial prices starts at $20 a month for 10 projects and 3 gb. Finding people that are interested in your products or service used to be very difficult. With BuzzBundle you can easily find conversations on forums, blogs, q&a sites, Facebook, Twitter, LinkedIn, Google+ and Video sites to interact with potential customers, partners, etc. immediately! You can easily switch between multiple profilesto create a real buzz! 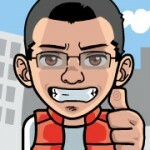 BuzzBundle even creates accounts fully automatically on websites when mandatory to comment. There is a free version available which has some limitations. The price for the full version (life time licence) is $299 currently on sale only $199! Easiest and fastest way to post to Facebook, Twitter, G+ and LinkedIn. From your desktop or mobile! Share posts, images or websites and blog articles to all your social media accounts with just 2 clicks. Schedule and analyze your posts. 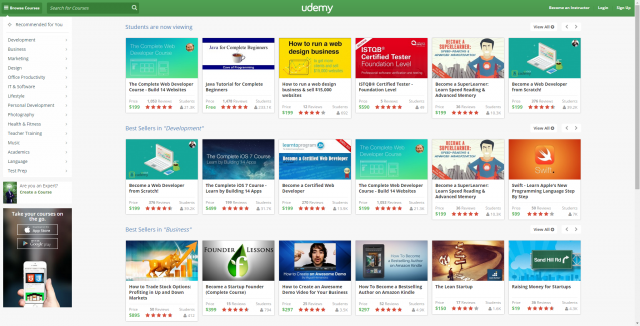 Udemy – FREE courses available! 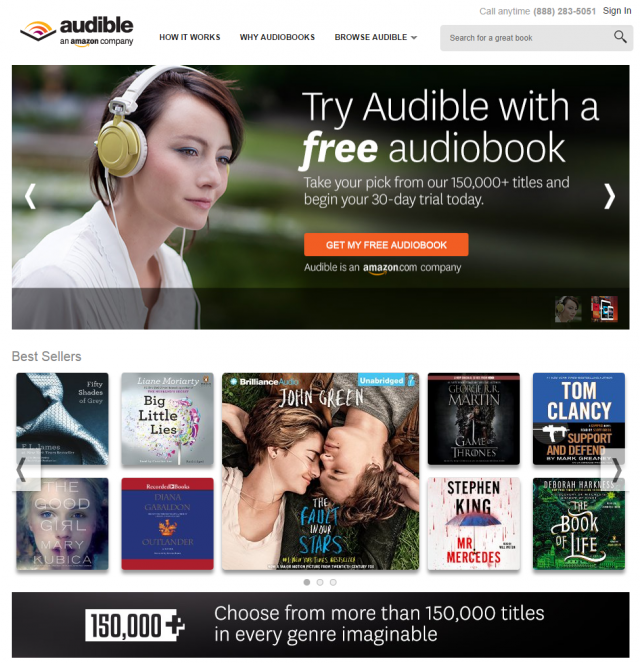 Audible – 30 days free! Still reading books? Why not listen to a book you always wanted to read, while working out, driving in the car or doing some home work? First 30 days are free! $14.95 per month thereafter. Includes 1 audiobook a month AND 30% off additional books. 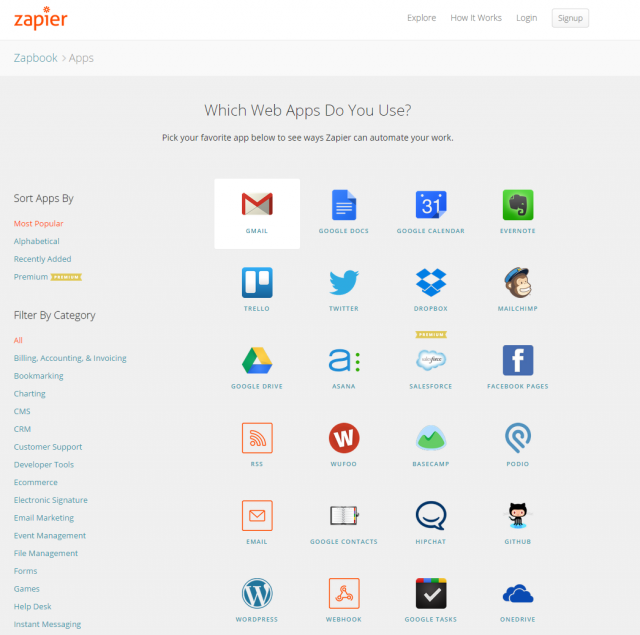 Zapier – FREE plan available! Zapier lets you easily connect the web apps you use, making it easy to automate repetitive tasks. ie connect gmail with evernote or dropbox. twitter with facebook or gdocs. The possibilities are endless. Free alternative: IFTTT – If This Than That is free but more consumer focused than Zapier (less compatible apps). Looking for a whitelabel version? Check out elastic.io. Please let me know if this post has helped you in any way… I’d love to hear your story! If you think this list can be helpful to someone you know, why not share with to your friends or colleges? You can also download this list as a PDF afterwards! What are your favorite time-saving productivity tools? Did I miss a tool or resource on this list? Feel free to comment below! Great thanks for putting this list together! 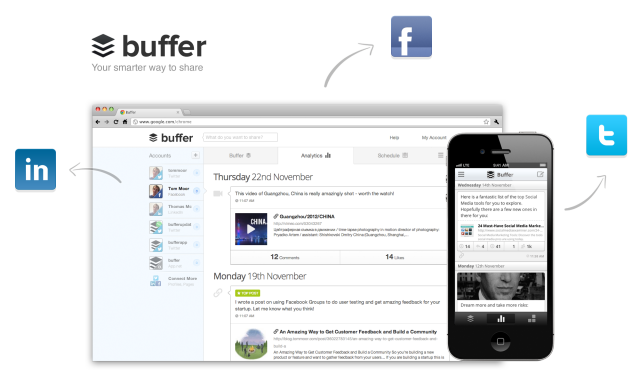 I love buffer and buzz bundle. Thanks so much!